Friendship Works has been matching volunteer mentors with children and young people facing adversity for over 40 years. During this time we have seen how seen how long-term mentoring support makes a real difference to the lives of children and families. Read below and find out more about the experiences of children, families, mentors and staff during their journey with us. In March Sam, a volunteer mentor with our Friendship Works service will be running the Jurassic Coast Challenge. That challenge consists of running three marathons in three days, totalling 78.6 miles. 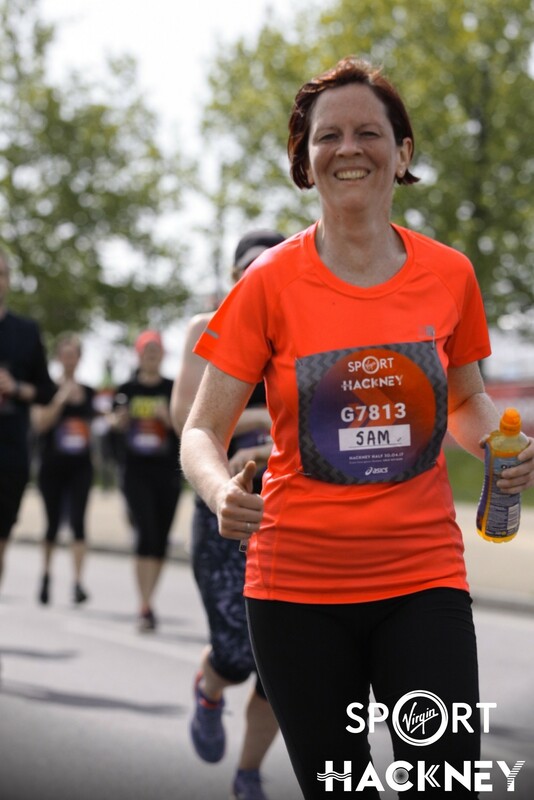 Over the coming weeks Sam will be writing a blog, keeping us up to date with her progress. Leroy was eleven when he was referred to Friendship Works by his mother. She recognised that her health problems had resulted in Leroy taking on a lot of caring responsibilities in the home. This, together with the fact that it was hard for her to take him out of the house, had led to Leroy becoming very isolated. She asked us to find a male mentor for Leroy as he had no positive male role models in his life at that time. When he was first referred, Leroy was a very withdrawn, shy child. He found it hard to interact with adults, and had only a couple of friends at school. He wasn’t able to express his likes or dislikes, and found it difficult to identify anything he was especially interested in. Mat became Leroy’s mentor in November 2014. From the start, Mat was able to establish a great rapport with Leroy. Early in their friendship, Mat introduced Leroy to Basketball, which quickly became a favourite activity. Mat also encouraged him to join Boys’ Brigade in his local community. Leroy’s self esteem benefitted greatly from finding activities that he was good at and enjoyed. It wasn’t long before he gained a place in the school basketball team. 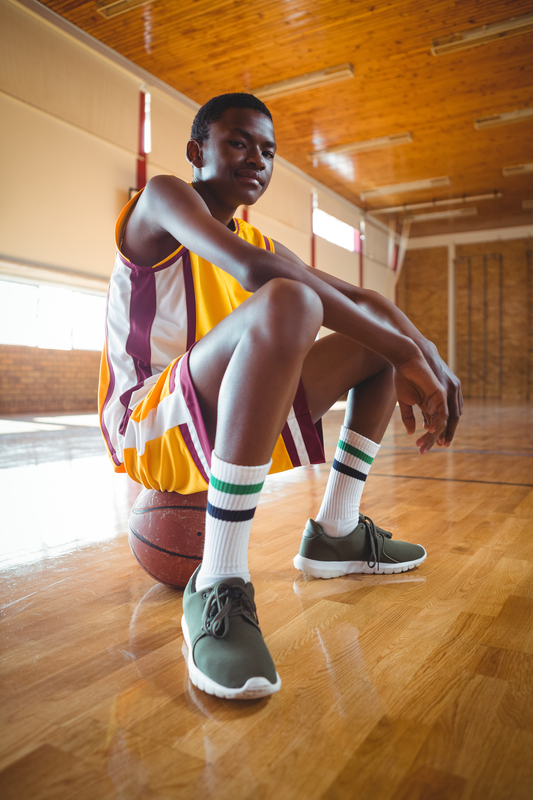 This was the first time that Leroy had received positive recognition for his talents at school, and being able to represent the school was a big boost to his confidence. He has developed a number of quality friendships and has become popular and respected by a wide range of peers. *name has been changed to protect child’s identity. 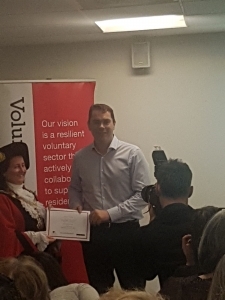 We are delighted to announce that Friendship Works mentor Mathew Smith has been named Islington Volunteer of the Year. The award was presented by the Mayor of Islington at an event held on Wednesday evening. In addition to receiving a certificate on the night, Mat has won a meal for two at Marco Pierre White Steakhouse Bar and Grill, and an overnight stay at a Doubletree by Hilton hotel. Friendship Works Volunteer Recruitment Manager, Ros Moody explains why the team nominated Mat. Kyle is 10 years old and lives with his mum and big sister. He loves football and plays in a local team. He describes himself as active, sporty and a good laugh. As a very young child, Kyle witnessed domestic violence between his parents. His dad left the family home when Kyle was four, but Kyle still had contact with him sporadically until the age of eight. The last contact he had with is dad was eighteen months ago. His sister has learning difficulties and is physically disabled, so a lot of mum’s time is taken up caring for her. In the past, Kyle engaged well at school, but in recent months his teachers have noticed that he is less engaged and more disruptive in class, and he has been involved in a couple of fights in the playground. There are concerns about how he will cope with the transition to secondary school next year. Kyle’s mum would like him to have a male mentor as there are very few positive male role models in his life at present. He has asked for a sporty mentor who will play football with him and is up for talking about sport.